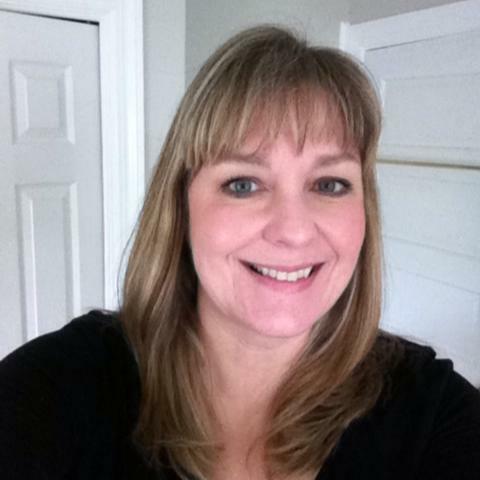 "A bit about me"...blog hop! Hi. :) Apparently there's a blog hop out there in the blogosphere, and it's kind of like a chain letter. You know, you're tagged, and you have to tag someone else in return. This hop is meant for each participant to share more about themselves or their work. 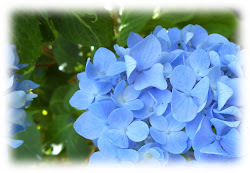 Sindhu and I have been following each other's blogs for quite a while. I have loved seeing her card-making style change over time and become more focused on the clean-and-simple side of things. She is now a master, in my opinion, and her blog is filled with happy cards. Go take a look; you'll be delighted! Click here for the original 2/6/14 post. 1. How long have you been making cards? I barely count it as 'making cards', but I used to sell cards at the office where I worked in the late 80's and early 90's. I'd bought a box of pre-folded card bases, and stamped something simple on the front, colored in with pencils. I felt so proud of them at the time, but...well, you know, after all these years, they seem very crude compared to what I do today. After that, I didn't stamp again until attending a Stampin' Up! workshop in 2007. I started my blog in 2010, and am so glad I took that leap. Click here for the original 5/22/12 post. 2. Rubber or clear stamps? Both! For a long time, when I thought that Stampin' Up! was the only stamp company out there, rubber was just fine. After I discovered a Stampamajig, that really made things easier. Funny that I don't remember my first experience with clear stamps, but oh boy, I fell fast in love! My rubber stamps were left in the dust as clear stamps and I began dating. =D Lately, though, I am giving a lot of love to rubber. Feels good to rediscover them. And they're happy too! Click here for the original 2/21/13 post. 3. 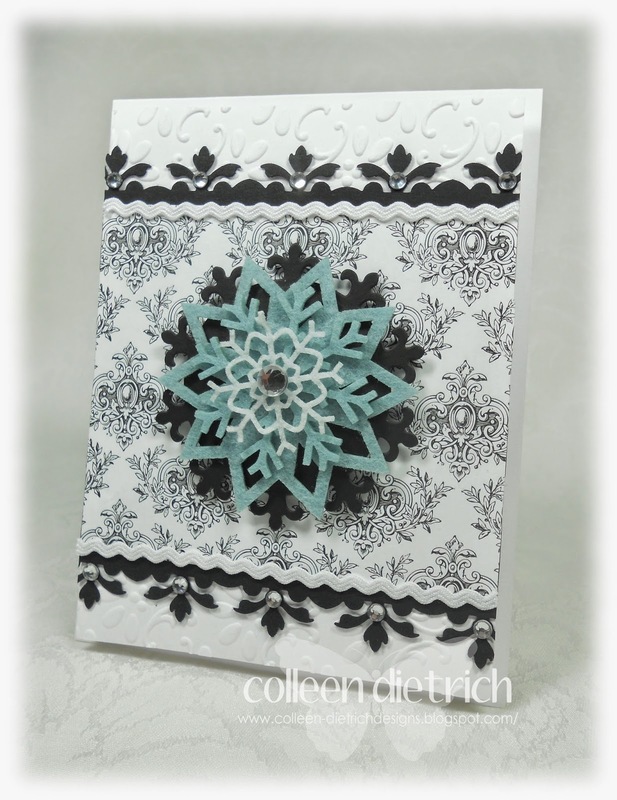 Do you follow stamping trends? Most definitely not. Heck, I've never even followed clothing trends, ever. I'm just not that kind of person. (Well, I did own a Members Only jacket in the '80s, and bought Izod polo shirts. But I was a teen then, so let's chalk it up to age.) I love what I love, and don't care if it's not the latest and hippest thing. Life's too short. I'm doing it my way! Click here to see the original 12/15/11 post. 4. What is your creative process? Most of the time, I let the process take me for a ride. I start with a nugget of inspiration (a button, a piece of patterned paper, particular ribbon or embellishment, or a stamp) and build around it. I feel my way along, and it's hard to describe but I can tell you that there's a formula of sorts. The formula includes: fibers, embellishments (chipboard, buttons, stickers), a mix of shapes (circles, rectangles, flourishes, for example), die cuts/punches, and usually a bit of bling. Some cards are all about having things off-center, and some are symmetrical, where everything is perfectly balanced, like the snowflake card above. Organization is key for me. It helps to know what crafting supplies I have. When I used to craft in my dining room, I packed my supplies in cabinets and baskets so tightly due to space constraints, I forgot what I had. After moving up to the attic studio, things are more spread out, which helps a lot. Click here for the original 4/3/13 post. 5. What is your card-making style? I have a few: vintage/shabby chic, clean and simple, and clean & classy/elegant...and (cue the drumroll) masculine. Yes, I've taken a liking to a certain style of masculine cards. They are not filled with power tools, or motorcycles and trucks, but have a more genteel nature about them. As for clean-and-simple cards, I don't do them as well as I'd like, but that part of me still needs to express itself once in a while. Hope you'll bear with me on that! Click here for the original post on 1/27/14. If you've made it this far and read all the way through, God bless you! It's a long post, I know. One more thing before I go: I am tagging my dear, dear friend Emily of My Little Slice of Bliss. Her creations may look clean and simple at first, but when taking a closer look, you can see she adds so many loving details. And talk about creative: Emily has used sandpaper, dryer sheets and toilet paper on cards in the most innovative ways! I've got too many favorites of hers to list them all, but take a peek here, here, here and here. Thank you, Emily, for sharing your creativity with all of us! Ya Its a long post but I loved reading through it and seeing your beautiful,elegant cards! You are so organized ,there is lot to learn from you be it organizing craft supplies or making cards with various styles ! Thanks for sharing it Colleen ! Such a pleasure seeing all your gorgeous cards and read/ visit your blog! I also LOVE your photography! The way you display the cards, sigh truly gorgeous and elegant!! Thanks for the tip of the other blogs, will visit them too! Bye and have a wonderful day! 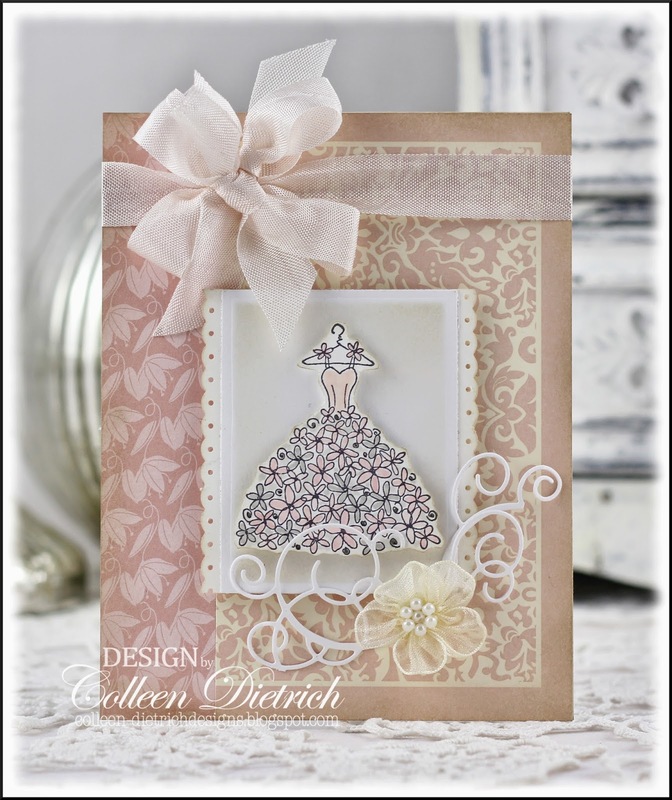 Beautiful cards you've created, Colleen. Like you, I do love clear stamps, but use them all. I LOVED reading your post, Colleen! How fun that you still have your very first stamp sets :D. And look at all the beautiful cards you rounded up for this. Great eye candy!!! You did a super job all around!! Thanks for all of your kind words and for tagging lil' ol' me. You are the best, my friend!!! You are my inspiration. Loved reading your right up and thank you Shindu foe tagging you too. It's nice getting a more in depth look into the creative minds of the talented people like yourself. So thank you for sharing... thank you for being you and doing it your way. You are such a talented and lovely lady! I loved reading all about you and your creative endeavors!!! And seeing your cards! Such inspiration! Colleen I enjoyed this post so much!! Wonderful to learn a bit more about you and drink in all of your beautiful cards!! I'll be visiting with Emily next, she's such a sweetheart!! Long post but oh so interesting Colleen! THX for sharing you AND your cards! So nice to read and learn a bit more about you. Your cards are always gorgeous and inspiring. Wonderful creations, everything you make is inspiring and lovely! Loved reading about YOU too! Great post! Enjoyed reading this post! Your work is classic and so beautiful! I love that you still have your first stamp set. I think I do too! 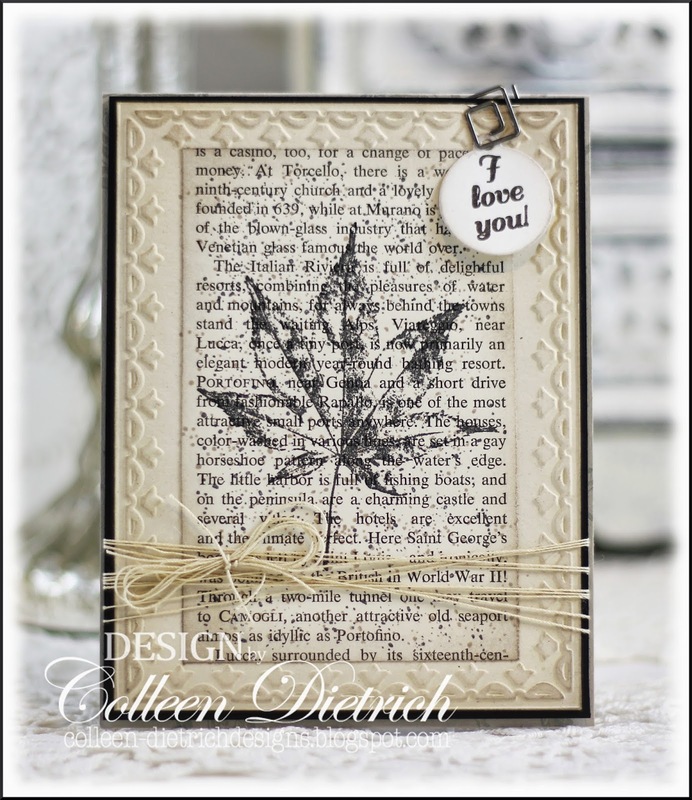 Loved reading this Colleen and seeing some of my favorite cards you have made here. Love your pictures of the first stamps you ever bought too - super fun. Great stuff here and a wonderful and heartfelt post. Hugz - extra ones! I read and enjoyed every word! It makes me feel like stamping. You shared some absolutely gorgeous cards. Now I think I'll visit the two other folks you mentioned, because a girl can always use a little extra beauty and inspiration in her life. Thanks, Colleen! Loved reading about you Colleen! It feels so great that I know more of you today:) I love your blog so much and although I might not be visiting each post due to time constraints (as I am student),I make it a point to come over here whenever I open up my blogger to have a look on some of my favourite designers. 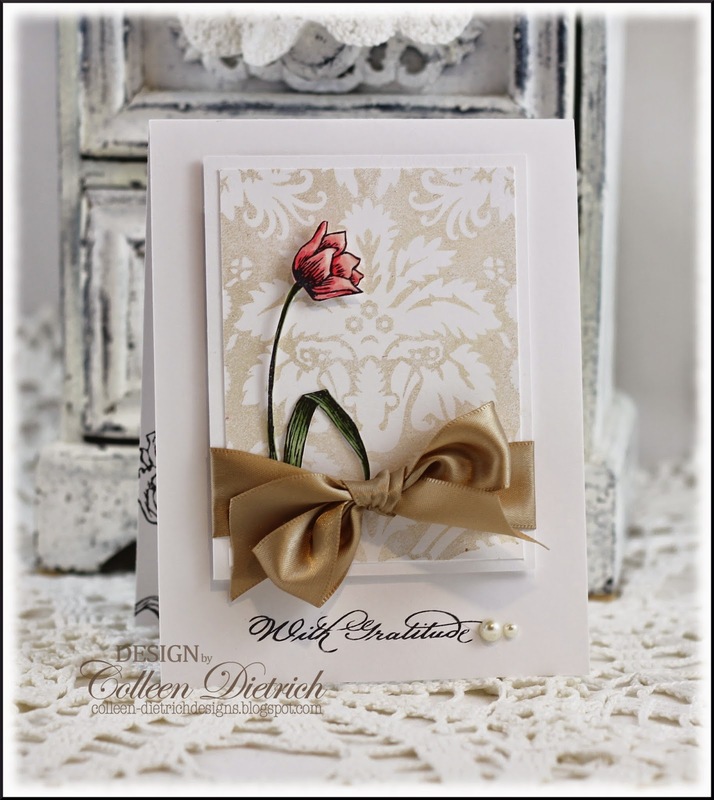 I am completely, madly and truly in love with your elegant and regal card-making style! Great post! The Card Concept #14 - Hello, Black & White!